If you read agricultural news websites, or even listen to the ABC’s country hour, you will be aware of the beef ‘scandal’, which has hit Brazil this week. The reasons behind the scandal have been well documented, so we won’t repeat them here. What we will do is look at what a suspension of Brazilian imports might mean for Australian beef exports. The key outcome of the ‘Brazilian Beef Scandal’ thus far is China and Hong Kong suspending beef imports from Brazil. 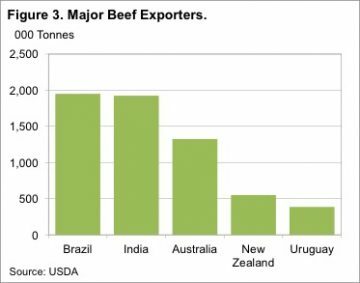 Figure 1 shows that Hong Kong and China were two of the three biggest markets for Brazilian beef in 2016, accounting for 29% of total exports. 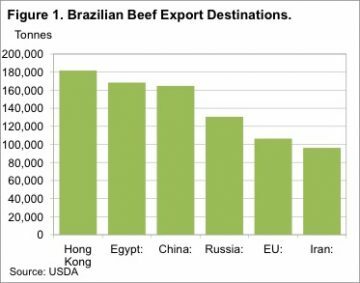 The current suspension of the China/Brazil beef trade will obviously mean that a lot of Brazilian beef will have to find a new home. But how much of a hole does it leave in China’s beef supply? In 2016 Brazil was the largest source of China’s beef imports, accounting for 29%. If the suspension continues for any significant amount of time, China will be looking to replace Brazilian beef from its other current beef sources, the main ones being Uruguay, Australia and New Zealand. Assuming the Chinese suspension of Brazilian beef lasts a month, China and Hong Kong will have to import around 29,000 tonnes of beef from somewhere else, if it is to maintain supply. 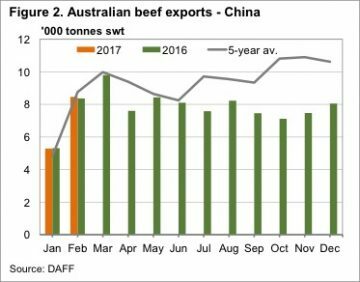 If Australia provides a third of this tonnage, it will double our average beef exports to China (figure 2). In reality, Uruguay and New Zealand are not really in a position to increase exports to China. Figure 3 shows the Uruguay and New Zealand have much smaller export programs than Australia and Brazil. India can fill some of the void through the ‘grey channel’, but Australia is in a good position to replace Brazilian beef in higher value markets. Obviously if Australia was to in part fill the Chinese gap, it would have to be diverted from other markets, which would force them into a sort of bidding war with the Chinese, pushing up export prices. The Brazilian beef scandal has seen China suspend imports of beef from Brazil. Australia is in a good position to replace some Brazilian beef in China, pushing up export prices. If the suspension on Brazilian beef lasts some time, improved export demand should provide strong support for Australian slaughter cattle prices. For a country with such a large export program, being suspended from your biggest market is going to be disastrous for beef and cattle prices. In Australia it would be similar to the US or Japan banning our beef, and we then either need to increase domestic consumption or find another market. Prices would fall very, very quickly. As with any trade restrictions, the bad news for Brazil could be good news for Australian cattle producers and processors. 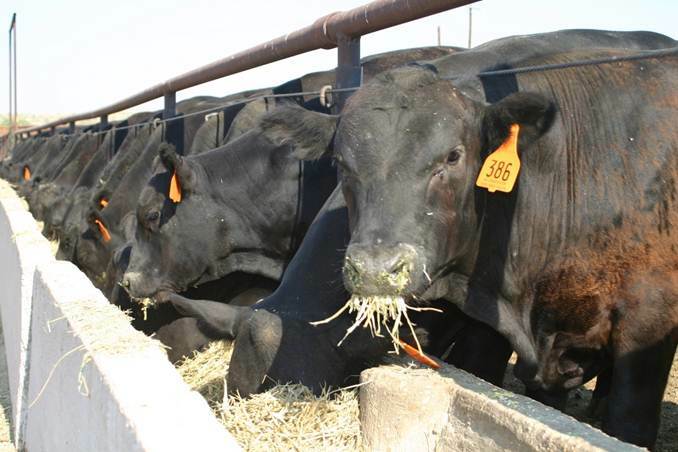 Increased demand from China will push export prices higher, and given the continued tight supply of cattle, much of this would be passed onto producers. However, China are not likely to want big increases in beef prices locally, and as such are likely to be working with Brazil to sort out issues. As such there is no way of knowing how long the suspension will last.